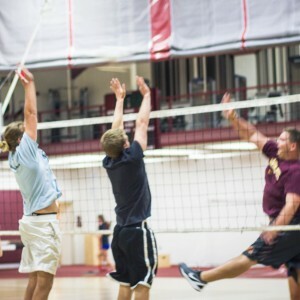 Intramurals are open to all students, faculty and staff looking to get involved with sports on campus. Grab some friends, form a team and get competitive! 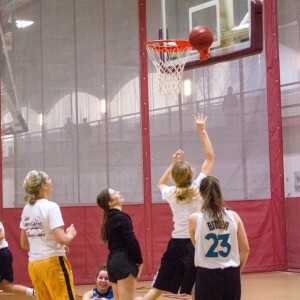 Intramurals are available fall and spring semesters, volleyball competition in the fall and basketball competition in the spring. Flag football and dodgeball tournaments will be announced throughout the year. 1. 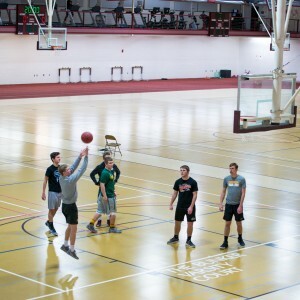 Concordia full-time students, faculty and staff are all eligible to participate in intramurals. 2. To be eligible for participation on a team, you must be listed on a team roster on file in the Intramural Office. 3. You may play for only one team in a given sport. Failure to follow this rule will result in your suspension, and the teams will have to forfeit all games in which you participated. 4. To be eligible for play-off competition, you must have participated in half of the regular season games. 5. If you play on a Cobber athletics team, you cannot play on the an intramural team of the same sport. For example, Concordia basketball players cannot participate in intramural basketball.